Description Use a big turret to protect your planet from the colorful invading vectors. Defend 10 planets, unlock achievements and new weapons on your way to victory. 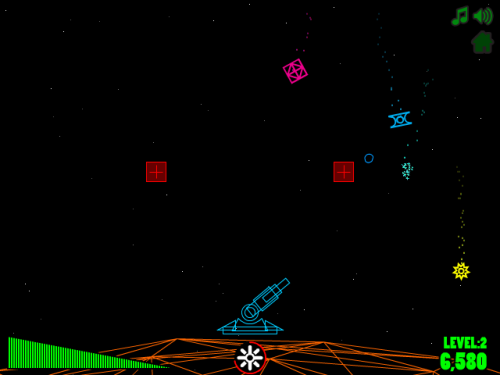 Controls Use the mouse to aim and shoot, hit satellites to unlock power-ups in the form of different types of bullets.